When nature strikes? Just because we are not surrounded by ocean waters and palm trees, doesn’t mean we don’t have our own share of natural disasters. The Federal Emergency Management Agency (FEMA) says 70 percent of Americans haven’t practiced for a disaster. Many don’t have a plan in place in case of a disaster. Well you’re in luck. September is National Preparedness Month. Washington state is known for its natural beauty, clean waters and majestic mountains. But that comes with a price. 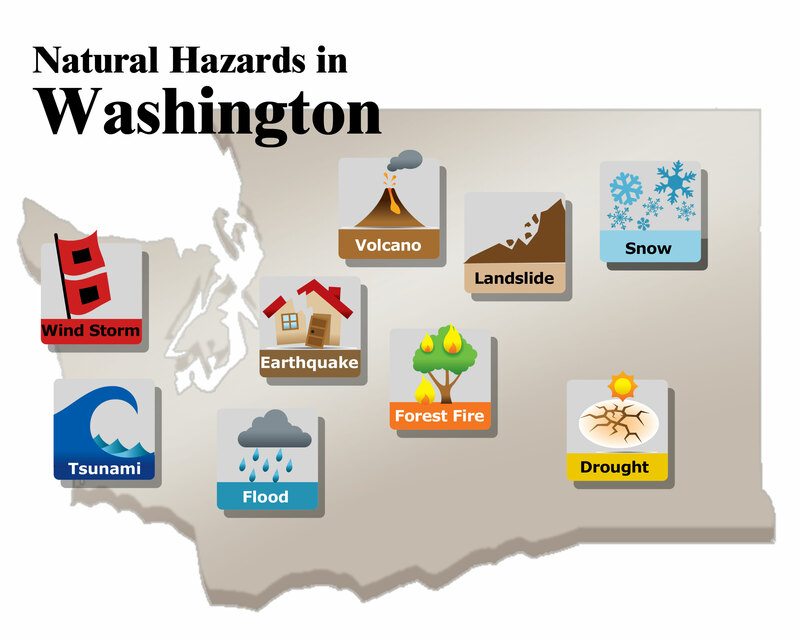 We are also known for our earthquakes, landslides, tornadoes and of course our brazen wildfires. Yes, we do have tornadoes. Although rare, we did have a couple that made thebooks. - The 2008 Vancouver tornado was a rare tornado that occurred in the city of Vancouver, Washington on January 10, 2008. The NWS rated this storm to be an EF-1 (wind speeds of 90-110 mph). The storm was arare event in the Pacific Northwest. - The 1972 Portland–Vancouver Tornado was a deadly F3 tornado that struck Portland, Oregon, and Vancouver, Washington, on April 5,1972. The tornado carved a nine-mile (14 km) path of destruction across the heavily populated Portland metropolitan area, leaving 6 people dead and 301 injured while causing $3–5 million (1972 USD) in damage. It was the deadliest tornado in the United States in 1972 and remains the deadliest tornado in the history of the Pacific Northwest. It was the first F3 tornado to strike Oregon since June 3, 1894, and no tornadoes in Oregon or Washington have equaled its intensity ever since. Scary stuff huh? So if you’re not sure what to do when an emergency happens, you can learn the 5 key actions to protect your home like shutting off utilities like gas, water, & electricity. Those are key factors after a disaster. For more information, click on the picture below. arrow_backReverse Mortgage Changes Coming Soon!